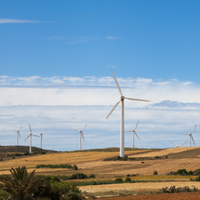 Last week, Avangrid Renewables, a subsidiary of energy and utilities company Avangrid, announced that it signed a second power purchase agreement (PPA) with apparel and footwear company, Nike, to source 86-megawatts of wind power from the Texas-based Karankawa Wind Farm. We commend Nike and Avangrid for recognizing alternative energy as a critical tool in managing and reducing greenhouse gas (GHG) emissions and accelerating the growth of a low carbon economy. This is the second PPA between both companies. Currently, Avangrid’s Columbia Gorge Texas wind farm supplies 100% renewable energy to Nike’s headquarters and operating facilities located in Oregon. The new agreement will now allow Nike to source “100% renewable energy” across its North American-operated facilities, as stated by the company’s chief sustainability officer Hannah Jones. The partnership represents the proactive approach each company has taken to meet the global need for energy efficiency in the supply chain. Since 1995, Avangrid has been a leading provider of renewable energy, building over 6,000-megawatts of wind and solar powered facilities. In 2015, Nike joined 35 businesses and pledged to become “100% renewable” by 2025 including sourcing 100% renewable energy for its owned or operated facilities. Both companies have demonstrated leadership in energy efficiency and the positive impact of measuring and mitigating GHG emissions through clean energy solutions. Now more than ever, companies have the opportunity to diversify their energy sources and reduce costs by investing in renewables. By making a commitment to increase the percentage of power that is produced from renewable energy, companies are able to position themselves to be sustainable longer term. Click HERE to visit the Trillium Asset Management website. 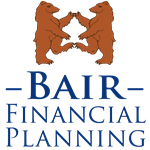 Bair Financial Planning, WCG Wealth Advisors and LPL Financial are not affiliated with any of the entities referenced in the article above.